High output SPL and sensitivity. 1x12" high power low frequency transducer with 75mm voice coil. Sensitivity 92dB, max SPL 123dB. XLR input and output connectors. Built-in variable crossover 80Hz-250Hz high cut. Computer aided design to optimise frequency and phase response. Cabinet designed for FOH use. Suitable for use with any full range or mid/high speaker cabinets for extended low frequency, high quality music reproduction. 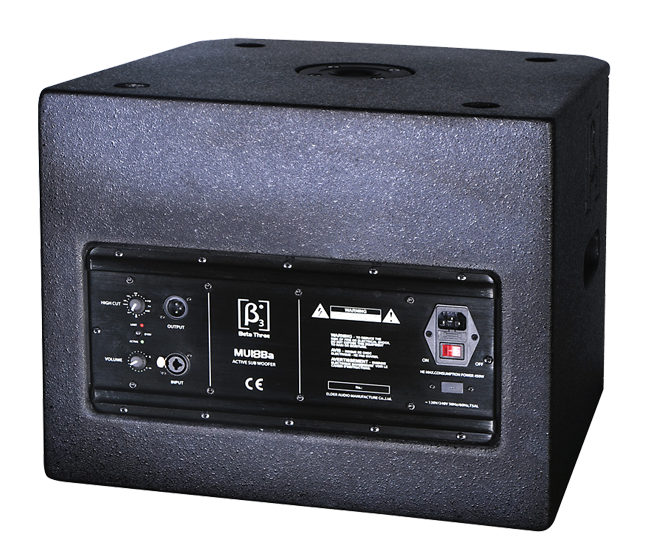 Integral 35mm pole receptacle for mounting full range or mid/high speaker cabinet. Powder coated grill with foam backing. Durable Polyurethane textured base paint.